This article describes how local governments in Japan recently provide security information services for residents, which deliver regional incident information using Email or Web. However, since the conventional services usually provide “one-for-all” information. users tend to miss important incidents within the flood of information. This article proposes a new security information service, called PRISM (Personalized Real-time Information with Security Map). For given incident information and user's living area, PRISM first computes severity of the incident, based on distance, time, and type of the incident. It then visualizes the incidents with the severity on a heat map. Thus, PRISM provides real-time personalized information adapted to individual situation of users. To illustrate the feasibility, we implement PRISM as a Web application using Hyogo Bouhan Net, and Kobe city facility open data. Street crimes are a major factor that threatens safety and security of people living in the region. There are many incidents reported every day, including murder, robbery, assault, snatching, groping, exposure, suspicious act of speaking, and observation of dangerous animals. In order to achieve the safety and security of the community, individual residents are recommended to protect themselves by understanding the street crimes and incidents, spontaneously. Based on such circumstances, researches that attempt to clarify factors associated with crimes have been conducted so far (Hipp & Kane, 2017; McCall, Land & Parker, 2011; McCall, Parker & MacDonald, 2008; Stults & Hasbrouck, 2015). In addition, local governments have implemented various policies (Tulumello, 2017). In Japan, many local governments recently start providing security information services for residents. The security information services distribute information of crimes and incidents to residents using the Internet. Residents can make use of the information for avoiding crimes. The typical security information service shows the list of recent incidents and a security map in a web site, or delivers the incident information by e-mail. For example, Hyogo Prefectural Police in Japan provides “Hyogo Bouhan Net”. The service publishes incident information that Hyogo prefectural Police recognize on the Web. By registering a personal email address, a user can receive the information by e-mail. Similarly, Tokyo Metropolitan Police Department provides the e-mail delivery service, called “Mail Keishicho”. The Department also publishes “Tokyo Crime Map”, which is a security map showing where and when every suspicious person appeared. In these existing security information services, every incident information is uniformly delivered to all users. Various types of incidents occur every day at various locations in the region. However, user’s living area varies from one person to another. Therefore, even if an incident is critical for a user, it may not be so serious for another user who is living at distant place. Thus, how the incident is severe depends on individual users. However, this fact is not taken into account in the existing security information services. All information of incident is distributed uniformly to all users. Hence, when much information is delivered in a day, a user may miss important information. Also, it is a time-consuming task for an ordinary user to identify only relevant information from the list of a lot of incidents within the Web portal. 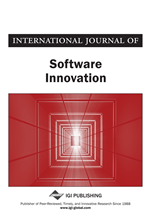 In this paper, we propose a new security information service, called PRISM (Personalized Real-time Information with Security Map), which personalizes the incident information based on living area of individual users. For every incident information provided by the existing security information services, PRISM computes severity of the incident according to the living area of a user. More specifically, based on the distance between the living area and the incident, the time elapsed from the occurrence, and the type of the incident, PRISM adds a weight to the incident, so that closer and newer incidents become more serious for the user. It then visualizes the weighted incidents on a heat map. Crimes have been visualized so far (Tabangin, Flores & Emperador, 2008). In PRISM, however, since the weight of severity varies depending on user’s living area, personalized and real-time incident information is visualized on a heat map. One of technical challenges in implementing PRISM is how to manage incident information in unstructured text. PRISM applies text mining to the incident information originally described in natural language. It then extracts attributes such as date, time, location, and the type of the incident, and stores the attributes in a relational database (RDB). On top of the database, we develop Web-API with which external applications can easily query and retrieve incident data. Furthermore, in PRISM, we exploit facility open data published by local government so that users can easily register own living areas. The facilities include schools, stations, and parks in the region. Even if a user cannot read a map, the user can specify the living area by using the facilities as landmarks.